Have you notice lately that maybe one or two of your employees seem to be getting paid for hours that it doesn't seem they've worked? You could've sworn they only worked 35 hours that week, but their time sheet says 42. When it happened one week, you let it go, thinking they may have worked after hours when you already left the office. But when they took 2 days off for vacation, but seemed to have more time than feasible on their paycheck. You hate to think that any employee could be dishonest, but it happens. And it's very easy to do with most attendance system set ups. Other employees can clock in for each other as long as they have the right ID or access code, or however else you may have your clock ins set up. But fingerprint time clocks can save you the trouble. There's no way someone can clock in for another person because each employees fingerprint is recorded. It can't be duplicated in any way, it has to be the actual finger in order for them to clock in and out for the day. You won't have to worry about carefully going over hours again, you'll know you can trust there's no way around the system. When a discussion yields a fruitful outcome, it just makes my day. Norana came to me the other day to discuss a campaign to boost sales. The idea was good; the details were flawless. I was about to give it a nod, but deep down in my heart there was still something deterring me from doing so which I couldn’t figure out at that moment. Then we drifted away discussing some other topics, and the answer suddenly hit me when our conversation arrived at the subject of how resellers place our products in their websites. 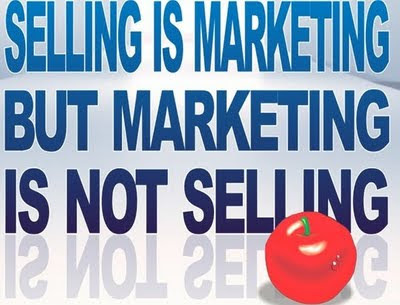 Yes, that’s the difference between sales and marketing. One focuses on delivering an immediate result, another looks for a broader aspect and a longer-term impact. Sales activities are good to generate extra income in a very short period, but at FingerTec I'm always inclined to the latter. I understand that psychologically, customers welcome sales or promotional activities such as straightforward price cuts, 10% discount, 20% discount, and so on; the more the better. We do witness some products or shopping malls starting with a monthly or festive season sales, only to eventually become all year long sales. You can't help but pity them because without any promotion, their business would be seriously affected. As we are not selling consumer products, I perceive more value can be added, and by adding these values, resellers are building up their own strength too alongside FingerTec products. The value might not turn into instant sales, or some resellers might think of the process as “a waste of time”, but with the right ingredients and direction, it will set you apart from your rivals and make your sales and support easier. Sales activity short-lived; the money value ends together with the activity. However, long-term marketing activity accumulates value that remains for a long time, and the value even works for you even if you're not aware of it. I always think pragmatism should be mixed with a touch of idealism; only then we can expect more surprises. A lot of businessmen on one hand think it’s good to tap on the social media tool, but on the other hand think Facebook and Twitter can wait, but sales cannot. And they also feel a standard website with a URL printed on the name card should be good enough, and regular contents update and upgrade of the website is a waste of investment. Once, there was a “pragmatic” businessman that laughed at us for having a big team to maintain a website. Yes, we do a lot of “unnecessary” tasks from some people's point of view, but all these “unnecessary” would eventually turn FingerTec to be a great product and a great brand in the Biometrics industry. We urge our partners to write us stories, to send us some successful projects as a case study, to set up their own Facebook and to maintain it, to keep their website active and plug some of our sales and support modules into their website. Create more local contents in the local language. This month, we have substantial growth of Facebook members from Malaysia, because we gave away a special discount for resellers who joins us at Facebook as a member. And our records show us that partners who have their own Facebook and actively manage it also perform well in sales. 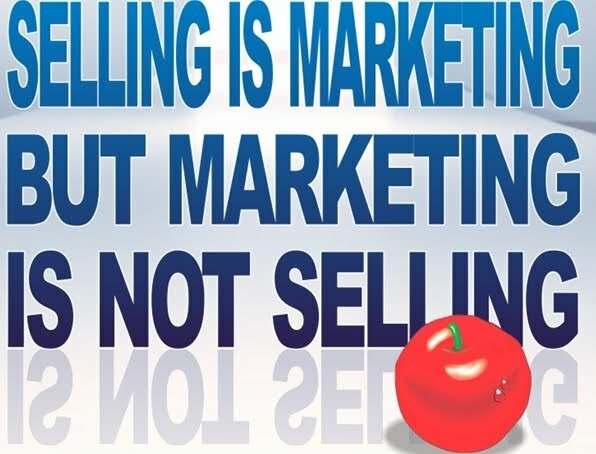 My urge is, spend some time and money on marketing, by adding little more value of your own, you would unlock all the hidden values beneath a great product. And, we should be having very clear direction for future marketing campaigns after my fruitful discussion with Norana. When you think of something as high tech as a fingerprint door lock, you usually would associate it with being in an office. But you can install one just as easily in your own home. It could be really essentially if you have an area of your home where you keep valuables. Just a safe isn't always enough. Maybe you have more than just a few things, or have priceless collectibles. Whatever it may be, a fingerprint door lock can be exactly what you need to keep unwanted guests out. The great thing about them is you can register your whole family, so that no one living in the immediate household will be left out. Have them register any finger they'd like and from that point on only that finger specifically will let them in. You can install it easily by removing the old door knob and replacing it with the fingerprint door lock. You can use it anywhere; on the garage door, on the room you hold your valuables, or any other room you don't want accessed. So don't pass it up as an option for keeping your valuables safe. The microwikinomics concept is not a novel one; it’s been there before the invention of the Internet, before the virtual world existed; just that we didn’t call it anything that fancy. When I was a child, my mum always gave 100 boiled eggs as her contribution/investment to a wedding; sometimes she gave a few kilos of sugar, sometimes a few kilos of rice grains. The reason was simple: to make a grand wedding possible. In the 80s, people who lived in villages didn’t have much money to go by, let alone to stage a wedding. You help me, I help you business, a.k.a. mass collaboration. Sharing was the way to go, there was no other way around it. It not so different today, though we don’t deal with that many boiled eggs. I had a conversation with my boss the other day, who told me that if you don’t have that much capital to run your business, tackle the Internet and tackle it hard. I didn’t exactly quote him verbatim but that was the gist of the conversation. Come to think of it, it is so true. Opening a physical office requires a large amount of capital, thorough planning and various kinds of investment, yet the ROI is not a guarantee. The question remains; how could you reach potential buyers from miles away if you don’t have an office close enough for them to contact or if you don’t have employees who could pay them a visit to explain about your products to them? The Internet is the way to go, the Internet is the ‘divine’ intervention. However, one party’s effort might not be impactful; a collective effort might create magic. FingerTec as a brand has been using the Internet heavily to market our products at the global stage since 2004. When we first started, we didn’t have much knowledge of what was in store for us. Come 2011, the world is our playground so to speak. We have created some impact for the business and if you, our partners can play your part, we could be big, couldn’t we? We have various resources available that you could use for your own benefit and if you could add your resources, you could use it to expand your business, other partners could use it for the same goal and the cycle continues. Do not see the Internet as vain, if you start being friendly with the Internet, you’ll see that this virtual world is dynamic, the opportunity is limitless. Rebecca Black, the latest teen singer who was featured in YouTube got her first million when her video went viral and people started to download the music via iTunes in less than a month. 97% of the viewers hate the song but the million dollars is already in her bank account. That’s how powerful the Internet is. Justin Bieber became a sensational artist after he was discovered from YouTube by Scooter Braun who introduced him to Usher. Amazon.com makes the whole world their customers. Apple makes us drool over their iPad 2 by just looking at the advertisements in apple.com. These are just some examples which I’m sure many of you are familiar with. Businesses create campaigns using Facebook, customers are being updated by the latest news using Twitter, websites for online shopping are sprouting like mushrooms after the rain. The truth of the matter is, everybody spends most of their time CONNECTED to the Internet via computer, smartphones and tablets. If you don’t tap that opportunity, then other people would. Let’s share information and create a louder FingerTec buzz in this virtual world. The positive effect would definitely be seen in your book at the end of your financial year. So you've got your great biometric time clock in the mail and you are ready to get your employees all signed up. But you aren't really sure where to start with installing it. These time clocks tend to come with both the physical clocking in system and a program to install on your computer. You first want to start with mounting your biometric time clock. This is easy to do on any wall. Pick good placement in your office where there is incoming and outgoing traffic, but not in a place where it's going to hold up other people trying to get by. Mounting is easy, as they come with mounting brackets. Then you'll want to install the software to your main computer. Installation is as easy as following the prompts. You can also link the information to your payroll software. Once everything is properly installed, you'll need to record your employees' fingerprints. Pick a day to have everyone do this; send out an email, have a quick meeting, whatever you need to do to let everyone know to stop by the new time clock and record their print. From there, you are all set to have an easy record of your employees comings and goings! I always believe that the more we do for our products, software, sales and technical support system, the less our partners and customers need to do. If the concept is applied to B2C system, it could be translated to good online retail shopping experience where customer sits back in his cozy home, a cup of coffee in hand, and a few clicks to complete his virtual purchase. The impact of this simple process is tremendous. He actually saves transportation costs, save parking fees, save unnecessary out-dining money, save himself from long queues, and eventually save a lot of time and money. And for a B2B system like us, due to its complexity in system operation, more can be done. Why do you want to settle on just a corporate website that brags about your profile and products, your mission and vision, your awards and achievements, and your intention to foster investors relationships? Why don't you use the website to serve your partners better, or to extend the service down to the end customer level? When we extended the usefulness of the website(s), it magically transformed us from a commonly "push" sales strategy company into a magnetic "pull" marketing-driven company. When we started to draft FingerTec Environmental Footprint after the launch of our "Going Green" campaign, it suddenly dawned on me that, our environmental efforts should be retraced from where we try to make everything easy for our resellers and customers years ago, and where our multipurpose websites tell a lot of stories. "Every time we burn fossil fuels such as gas, coal or oil, carbon dioxide is released into the atmosphere. Easier to measure are the direct carbon emissions that we are responsible for. This includes the amount of gas and electricity we use in our houses, the amount of petrol or diesel we burn in our car, and the number and distance of flights we take. The Carbon Account is a tool to help us measure these direct emissions. At FingerTec, we're constantly looking for ways to further reduce the impacts our products have on the environment. While there are some study reports that explain online shopping is inherently more environmentally friendly than traditional retailing methods, FingerTec is constantly taking extra effort to deliver all our resources via online means to carry out business operations and ultimately achieve the same goal. FingerTec has set forth two main objectives for our brand, first is to help our resellers market our products easier, and second, is to help them reduce their dependency on technical support. These objectives, heavily furnished with our extra-ordinary online resources plan, have successfully and tremendously reduced unnecessary sales visits or technical traveling on the roads for our resellers around the world over the years. All the needed resources can be easily accessed on the web, including comprehensive online training materials, and technical tips, which has proved helpful to the customers and resellers in reducing transportation costs. Besides that, our products are not only designed to have low energy consumption; we also work towards utilizing web-enabled technology to improve remote communications and achieve long distant technical support. Furthermore, the introduction of online tools such as TeamViewer for remote desktop support, has helped to further enhance these objectives. We have worked to see that some of our FingerTec products and accessories are designed to be collapsible, to be able to reduce packaging size and also to ease transportation. Since early 2011, FingerTec has made significant progress to reduce excess packaging in its shipments to customers and has introduced additional types of recyclable packing materials to protect items while in transit. The resizing of our packaging also plays a big role in reducing waste as well as transportation cost. Most FingerTec orders are shipped in corrugated packaging, which on average contain 43% recovered fiber content. Once used, these containers are 100% recyclable for use in the manufacturing of other paper products. At the start of 2011, we started a “Going Green” campaign to further reduce the use of paper in our products by putting a stop to all user manual print-outs for FingerTec‘s hardware and software, replacing them with an all new DVD which contains everything the customers’ need in one disk. All contents are professionally paginated, and designed to be easily accessible. At FingerTec, we will be continuing to implement environmental and energy-saving initiatives across all parts of the company. FingerTec employees at all levels dive deep into every nook and cranny of the process to identify waste and design alternative solutions that are more energy efficient." Upgrading an office is important in all aspects. You need to keep your computer software upgraded to hold on to information and keep up with the fast paced internet. You need to upgrade your appliances like copy machines and printers so that they are always top of the line and reliable. You need to upgrade communication systems to be more affordable and efficient. So why not upgrade your time clock software? Biometric time clocks are the most advanced systems you can have set for your employees to clock in and out. It's the kind of high tech system you'd see at big companies. Not only is it reliable but it's going to keep all your employee's time information stored in one place for you to access. You also can't cheat the system in any way because of the need for a fingerprint. They are also really easy to install. Install the clock in system to your wall, install the program that comes with it into your computer, and you'll find it works with most payroll software like Quickbooks and Paychex. You'll have everything transferred over easily. So take the time to upgrade your office today.